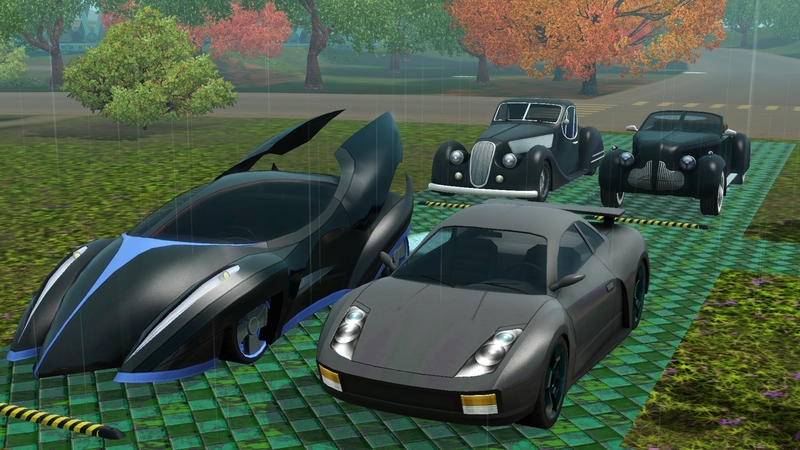 Thanks for a couple of tiberium, which once cut and sold at consignment, Molly and Wade have more cash than they know what to do. Large tiberium spires sell for about 75,000 and Molly put eight of them up for sale. You do the math. 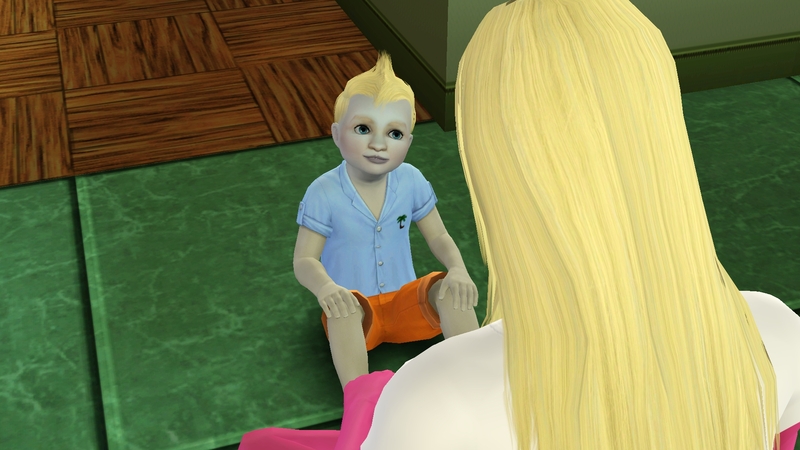 The days and weeks and months leading up to the birth of their first child were quiet. 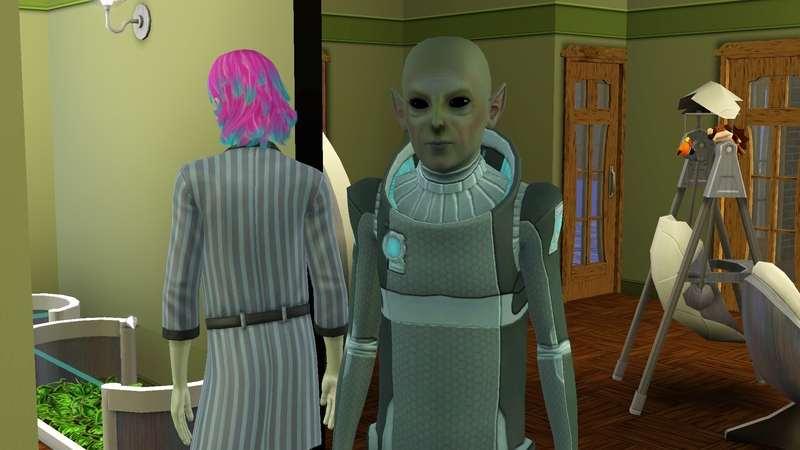 Molly exercised a lot while Wade studied his cooking and played & cleaned & talked with his sprites. Every so often Molly would another tiberium spire around the house which she would promptly sell on consignment. 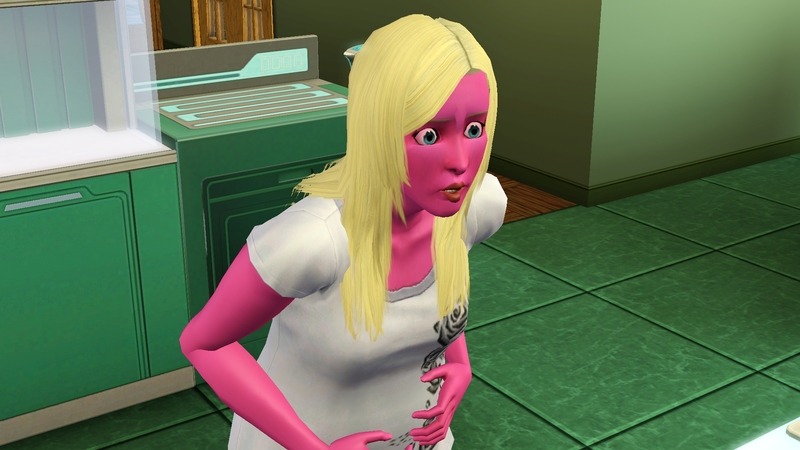 Maybe it was the shrimp cocktail that went bad as Molly was eating it, or maybe Molly isn’t supposed to be using the food synthesizer, but after three attempts to make something to eat, she finally just went into labor instead. Either way, Molly never did get to eat. 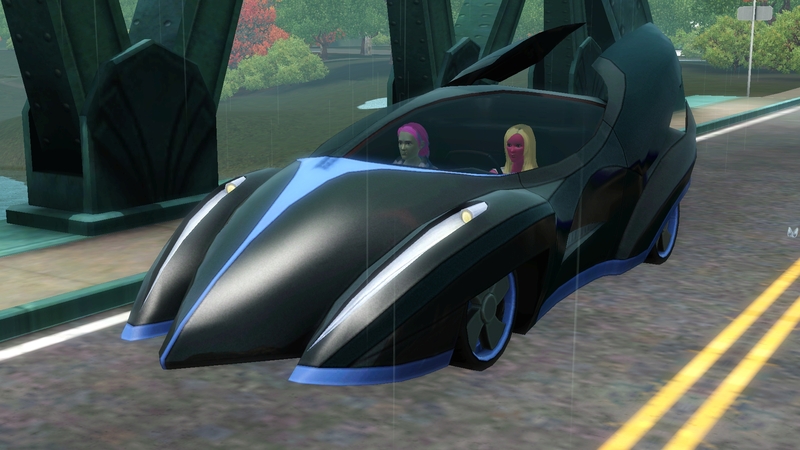 And yes, Molly always chooses the Sim-Mobile. Don’t you just love how the women have to drive themselves to the hospital while the men just go along for the ride.?.? Bill (Weasley) rolled Slob and Absent-Minded. Oh joy, my favorite traits. He better grow up cute. 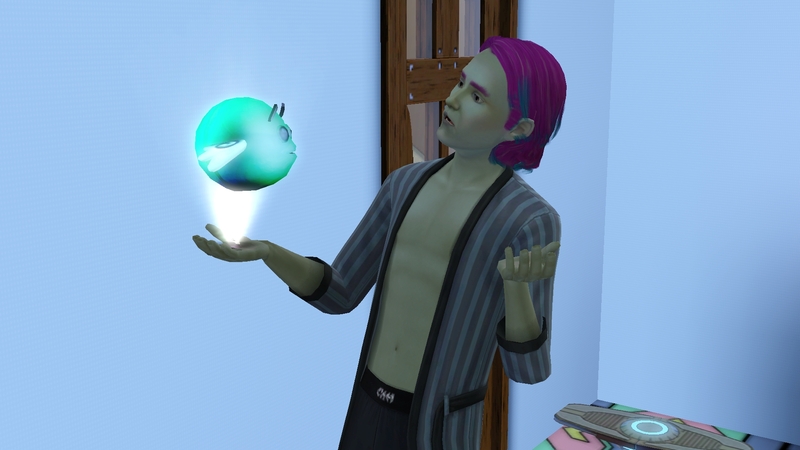 His imaginary friend is Fleur. 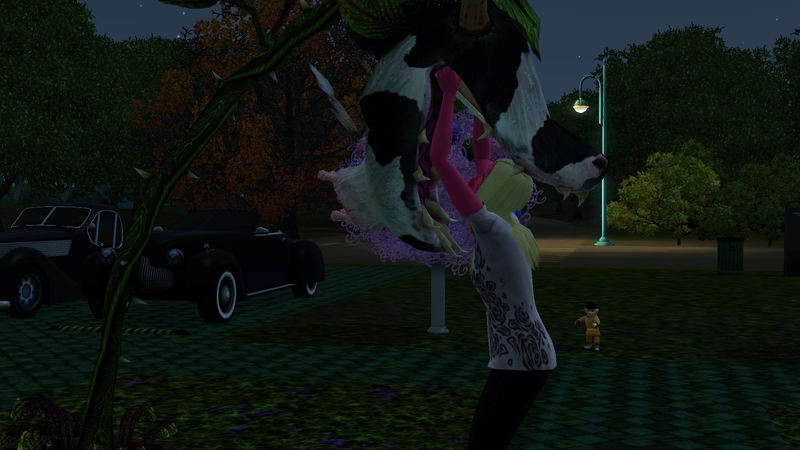 So, has anyone actually had the CowPlant eat and digest their sim in Sims 3? Because this is twice now the Fawkes have dodged the bullet. Wade was eaten and spit out and now Molly gets eaten and spit out. 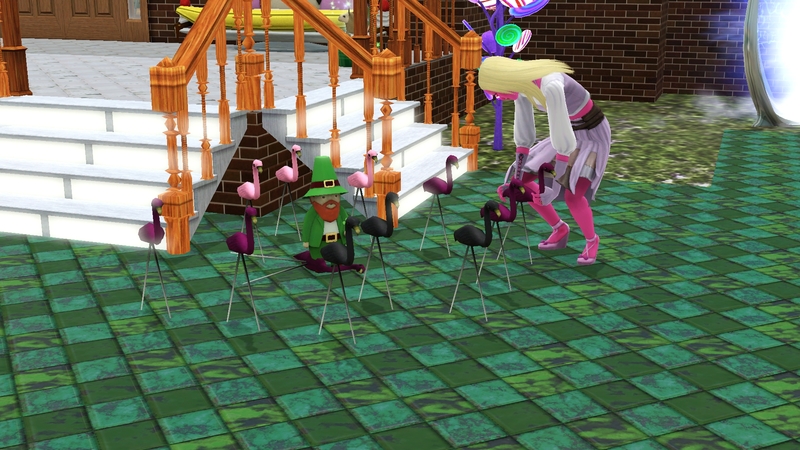 Bill gets his own grouping of flamingos and shares Wade’s favorite color. Molly is working hard trying to train Bill in his basic skills while Wade dreams about Advanced Technology and talks to the sprites. She manages to complete his potty training and his talking but not quite finished with the walking when she feels a very strong urge to go to the hospital. Once again, she is starving. Little Oskar (Schlindler) came along loving the outdoors and rolled excitable. And pink. Seriously I would like a girl, pink is not a good substitute. He names his imaginary friend Emilie. 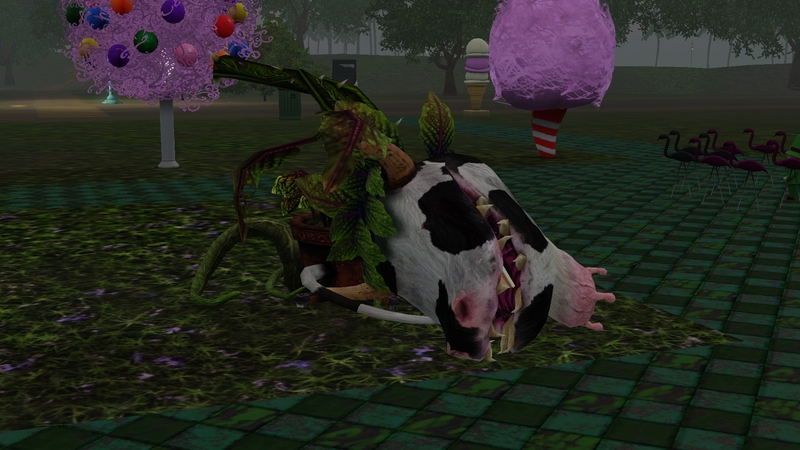 Oops, apparently the cowplant can die??? Guess I don’t have to worry about him eating the family!!! 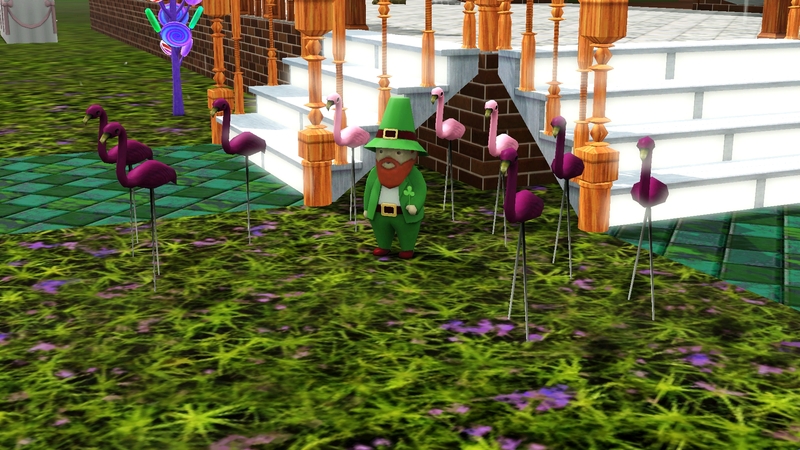 The flamingo army has updated its ranks with a set of black flamingos for Oskar. So, I wasn’t really paying attention, the entire family was sleeping at the same time for once, and the alarm goes off. Damn burglar. But, it wasn’t just a burglar. Still no girls, sigh, good thing this wasn’t supposed to be a matriarchy. Odo (Proudfoot) joins his brothers as the BOO generation. He was born friendly and rolled Clumsy. He is also pink and he named his imaginary friend Missy. 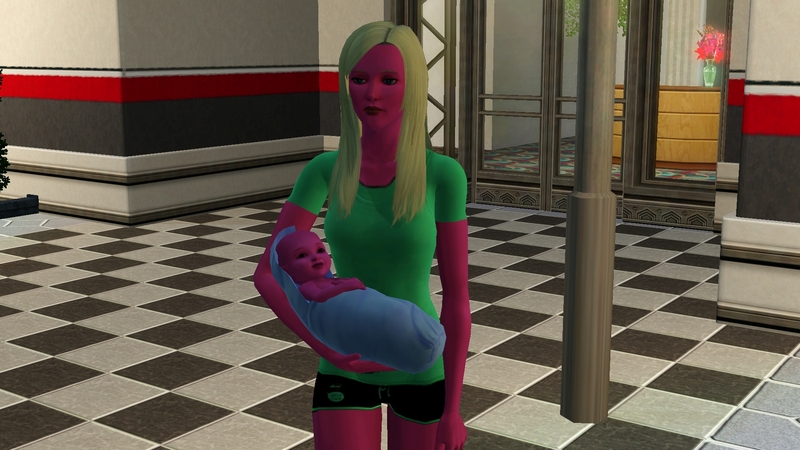 While the babies were being born and being trained, Wade was spending lots of time with his sprites. He successfully achieved his lifetime wish and can now focus on his career and his family. The current standing of the goals and challenges as of the birth of the last baby of generation 1. Obtain at least one occult – Not yet, but I have a plan. Aw, no girls? Bummer! And yes, good thing it isn’t a matriarchy!